Purple Crow Books in Hillsborough brings you a list of end-of-summer reads. These five end-of-summer reads come to you from our friends at Purple Crow Books in Hillsborough. Enjoy! Next week, we’ll send our last reading list of the summer, just in time for Labor Day Weekend. In that list, we’ll share reader suggestions along with some Our State staff recommendations. What did you read this summer? Click to email your suggestions, along with your name and a few sentences about why you’d recommend the book. This book is set in Australia after World War I. The main character is a soldier-turned-civilian who takes a job as a lighthouse keeper. In due time, he marries and the couple desperately want a child. Just when it seems this is not meant to be, an infant turns up in a boat at the lighthouse and the couple make a choice that defines their life. The reader is reminded of the heavy burden of choices that we make. There is a surprise ending. This book definitely lived up to the release hype and left me reading late into the night to finish. This is the story of a recently retired man whose life and marriage has fallen into a lull. He receives a letter from an old fling who is terminally ill and sets out to visit the hospice where she is hospitalized. He ends up walking, and becomes convinced she will stay alive as long as he continues. As he walks, he reflects on his life and the meaning of family. This is a sweet read that stays with you. Under the Tuscan Sun remains an endearing favorite. This cookbook captures the spirit and traditions of the region. Readers will find themselves transported to Tuscany through the art of cooking. The recipes are authentic, yet easy enough to make for everyday dining. Anyone who has a yearning for Italy will enjoy this book. This book could be described as a meeting of Ordinary People and John Grisham. Set in a small New England town, the story revolves around the murder of a fourteen year old student. The district attorney’s family finds itself in crisis as their son is drawn into the investigation. The reader is left wondering how far they would go to protect their own child. A surprise ending awaits. Both a crime and a psychological thriller, this book was hard to put down. This book is not like any other book. The main character is Ava, a thirteen year old who grew up in the Florida Everglades. Her family owns and runs a gator-wrestling theme park, where her mother is an attraction. After the mother becomes ill, the family begins to fall apart. Ava makes it her mission to save her family which takes her to some dark places. The reader begins to question what is real as this wild saga continues. This is a book that will not be forgotten. Purple Crow Books is located in the heart of Historic Downtown Hillsborough. Hillsborough was recently named “the most literary town in the South.” It is home to noted authors Alan Gurganus, Michael Malone, Lee Smith, Craig Nova, Randall Kenan, David Payne, Zelda Lockhart, Hal Crowther, Frances Mayes, Jill McCorkle, John Bemis, and others. Purple Crow is open Monday through Saturday, 10:00 a.m. to 5:00 p.m. They specialize in local authors and children’s books. They welcome special orders and are always happy to hear what you’re reading. They can be reached at 919-241-4266 or purplecrowbooks@gmail.com. Click here to read more about Purple Crow Books in this recent Our State story. 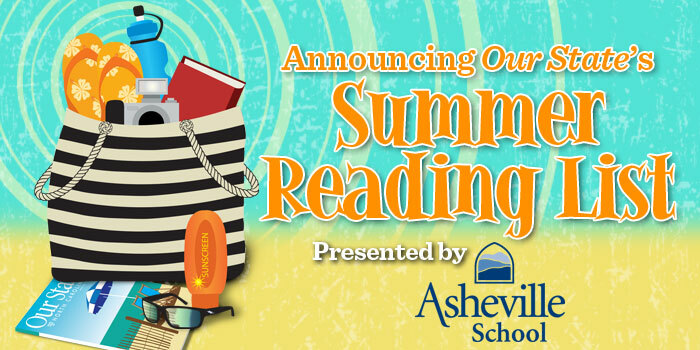 Our State‘s summer reading list is proudly presented by Asheville School. Since its founding more than a century ago, Asheville School has been preparing high school students with an education for a lifetime. Asheville School offers an academic experience for students in grades 9 through 12 focuses on a traditional core curriculum, and challenges young men and women while giving them the foundation to become better thinkers and communicators. As one of the nation’s leading co-ed college preparatory boarding schools, Asheville School teaches students respect for and responsibility to others and oneself. The 275 students represent 24 states and 13 countries, and learn in a nurturing, close-knit community set on a campus of 300 acres in the Blue Ridge Mountains of Asheville, N.C. Recent graduates are attending Harvard, Stanford, Columbia, University of Pennsylvania, Cornell, Caltech, UNC-Chapel Hill, Davidson, Duke, University of Virginia, Furman, Emory, NC State, and Wake Forest, among others. 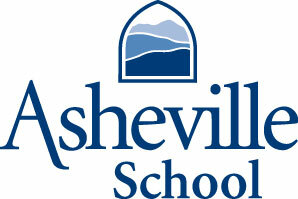 For more information, visit ashevilleschool.org, call (828) 254-6345, or email admission@ashevilleschool.org. Want email notification of new Summer Reading Lists? Simply enter your email to subscribe to any of Our State’s email newsletters, including our Summer Reading Lists. If you already receive emails from Our State, upon entering your email address below, you will receive a secure message allowing you edit your profile and change or add newsletters you’d like to receive. Enter your email address to sign up for Our State Emails!